From “The Children’s Friend - A Monthly Magazine for Boys & Girls” - bound volume XXXIX, Jan-Dec 1899; published by S.W. Partridge & Co., London. The season of Advent is about waiting. Waiting for God to act. Waiting for God to come. Waiting for seeds of goodness and love to bloom and grow. Waiting, waiting, waiting. And often, in the midst of our waiting, we wonder what we have done wrong. One day in mid-winter I was visiting my grandparents, which wasn’t unusual because they lived next door—well, next door in farm terms, about a half-mile walk through the woods. Grandpa had just gotten his new seed catalog, and I was mesmerized by the pictures of watermelons and pumpkins and cucumbers. I loved cold watermelon and pumpkin pie and sweet, crunchy, cucumber pickles. Grandpa told me that if I could save the money he would order the seeds for me and help me plant them. I think they were 25 cents per package. In 1960, that was a lot of money for a 6-year-old with no allowance, but I found it somehow, and Grandpa ordered my seeds. When they came in the spring, he helped me prepare a little plot beside his house and showed me how to plant the seeds. I put the empty packets with the alluring pictures of perfect produce on little sticks at the end of the row for identification and also as a sign of hope. Amid all our doubts and worries, our anxious waiting and fear of failure, a voice comes to us. A voice that comforts, comforts God’s people, speaks tenderly to us, letting us know that we have done nothing wrong—at least nothing that will keep God from loving us, from forgiving us, from picking us up and holding us, from putting us down and pointing us in the right direction. John the Baptist is not often thought of as a comforting, tender voice, but he really is. Most of our negative response to John is because of a misunderstanding about the nature of “repentance.” Too often, we think of repentance as a sort of “coming clean,” of “‘fessing up” to our bad deeds and evil intentions. And often, we not only don’t want to do that, we don’t see any reason why we should. All this sin and repentance business smacks of either tacky revival preachers pointing fingers and talking about hell or prissy, puritanical school teachers standing over us with a ruler in hand, demanding we spit out our gum or whatever else we enjoy that she disapproves of. And this is, most certainly, not what John the Baptist is talking about. Repentance is a comforting word and a part of God’s tender mercies for God’s beloved people. It reminds us that no failure is forever and that God, unlike most of us, does not hold grudges. The Lord is not slow about his promise, as some think of slowness, but is patient with you, not wanting any to perish, but all to come to repentance (2 Peter 3:9). God waits for us while we wait for God. Sometimes we get in a hurry; often we get impatient. We grow weary of this world, and we wish God would get on with it, punishing the evil-doers who oppress us and setting things aright in the world. But God waits, waits for all to turn, waits for people to realize that the path they are on is going in the wrong direction. God waits. 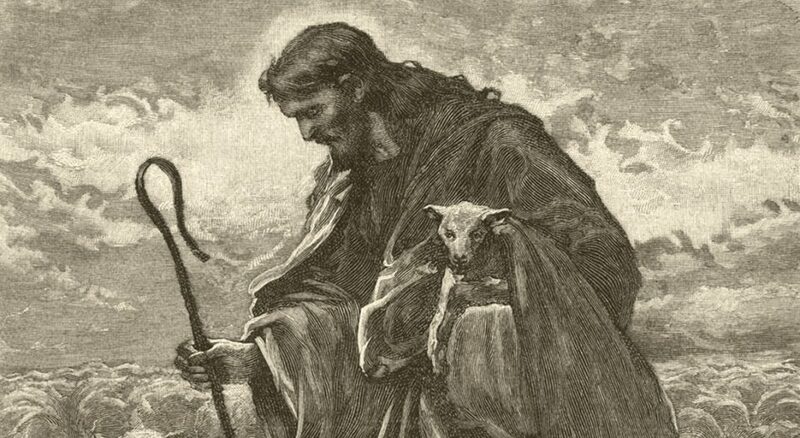 And while God waits, God the good shepherd gathers us up into his bosom, and while we wait, we hear the timepiece of eternity gently beating, beating, beating out the rhythm of God’s love. Delmer Chilton is originally from North Carolina and received his education at the University of North Carolina, Duke Divinity School and the Graduate Theological Foundation. He received his Lutheran training at the Lutheran Theological Southern Seminary in Columbia, S.C. Ordained in 1977, Delmer has served parishes in North Carolina, Georgia and Tennessee.